If you're looking for a last minute Valentine's idea then pop on a pinny - apron - and bake something! We all know the way to a mans heart is via his stomach so how about whipping up a batch of heart shaped cupcakes. 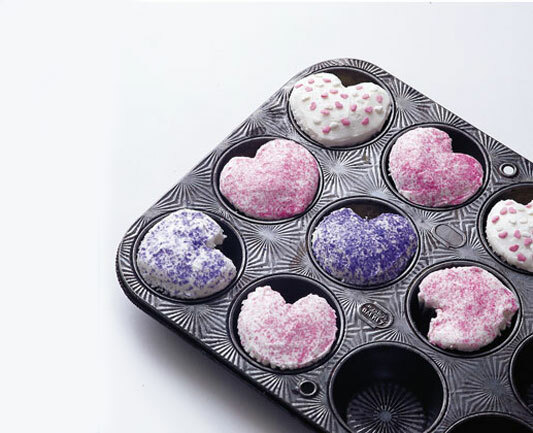 You can use any cupcake recipe you like, but if you don't have a heart shaped mould just pop a marble or rolled up ball of tin foil between the pan and the lining paper. This will make an indentation in the cupcakes as they bake turning them heart shaped. Just bake as usual. Easy!